IMDG Code training became mandatory for all shore side staff involved in dangerous goods transport by sea from 1 January 2010. The aim of the course is to train shore-side personnel in the understanding and application of the IMDG Code to allow them to safely and efficiently perform their role in the transport of dangerous goods by sea. Each course participant will be issued with a certificate of attendance by Robin Mulligan Ltd. 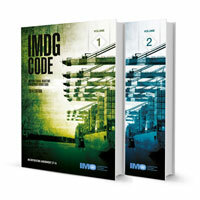 The course fee includes the IMDG Code, Volumes I and II.